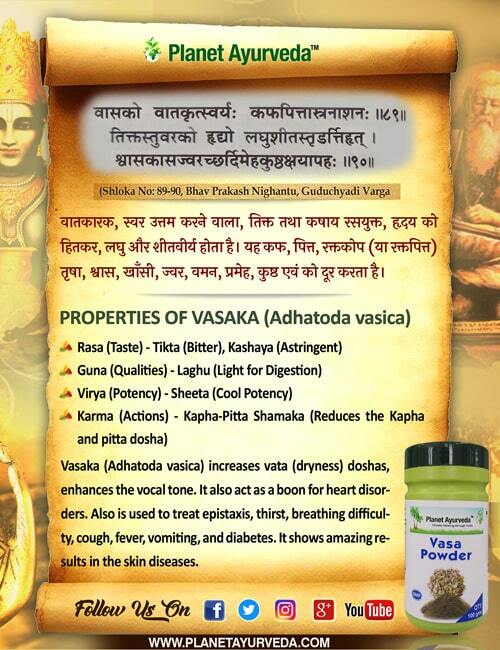 Vasaka is known with its Latin name Adhatoda vasica. It helps to maintain healthy functioning of respiratory system. It helps to maintain healthy immune system.